John Katko, was added to ALIPAC's Illegal Alien Amnesty Supporters List on May 15, 2015. 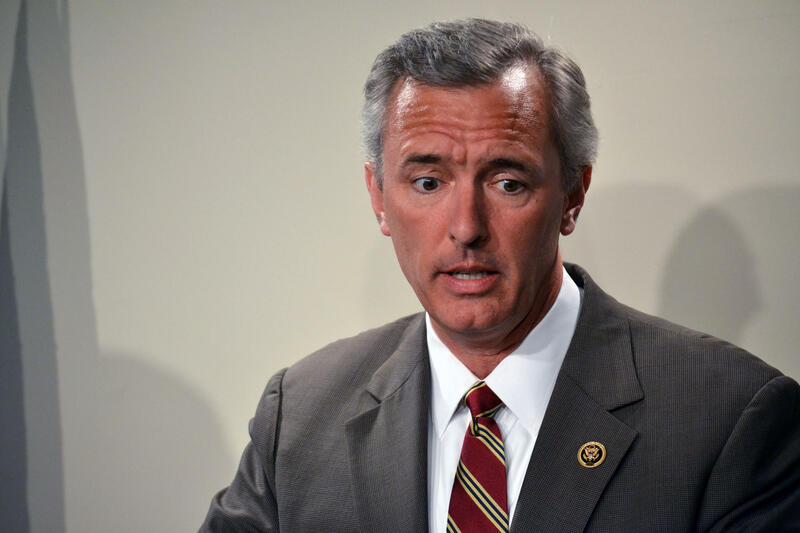 Representative John Katko, voted for amnesty for illegal aliens when he was one of only 20 Republicans to vote with 182 of Obama's democrats to keep a form of amnesty for illegal aliens in the National Defense Authorization Act (NDAA) on May 14, 2015 according to Roll Call Magazine. Luckily, Representative Mo Brooks's (R-AL) amendment that stripped the amnesty provision out of the NDAA prevailed over this lawmaker and his Democrat allies by a vote of 221-202 and the provision that would have allowed illegal aliens to join the US military was removed. Illegal aliens should not be allowed into the US military especially when they are about to lay off 80,000 American members of the military. Current US laws prohibit illegals from joining the military because such actions would encourage more illegal immigration, compromise the security of US armed forces and weapons technologies and tactics. John Katko, did more than announce support for immigration reform amnesty legislation, he actually voted to fund Obama's clearly illegal, unpopular, and unconstitutional amnesty directives! While most of the people in New York voted for John Katko thought he was elected to serve the citizens of America. He actually voted in service to illegal immigrants and those that employ them, when he voted to pass a clean DHS funding bill to fund Obama's amnesty plans! John Katko voted to fund the Obama immigration orders that 26 states are suing to stop and that Federal judge Andrew Hanen has ordered Obama to stop implementing! If the DHS clean funding bill had not passed, or had passed with stipulations that Obama could not use the money to give illegal aliens Executive Amnesty, the Obama administration would have stopped giving illegals amnesty instead of being responsible for the shutdown of DHS! Unfortunately, lawmakers like John Katko, Mitch McConnell, John Boehner, and 100 others found on The Cantor List have been negotiating and working with the Obama administration behind the scenes to support amnesty for illegals while lying to their constituents claiming they are "against amnesty"! Please contact Representative John Katko, let him know that you stand with the large majority of Americans who oppose any form of amnesty for illegals, and you plan to seek his removal from office in the next election due to his support for amnesty for illegals which encourages even more illegal immigration into America! Please contact John Katko to share your disdain for his support for amnesty for illegal aliens and let him know you plan to throw him out of office in future elections! Open Wednesdays, 10:00 a.m.-4:00 p.m.
Open Wednesdays, 10:00 a.m.-3:00 p.m.
Last edited by WBeasternNC; 11-30-2015 at 12:14 AM.